2 weeks down, 14 weeks to go til Delaware!!!! Tuesday – 5 miles easy. I was scheduled to do 6, but I decided to cut a mile so that I had a little more time to get some stretching done before I had to head off to work. Surprisingly, I felt relatively ok during this run, but part of me knew I was going to be more sore the next day. Wednesday – And as expected, the soreness really set in on this day. I had 5 miles of hill repeats to do though, so I sucked it up and headed to the gym to get this done on the treadmill in the morning. Charissa had left me some GREAT advice on how to do hill repeats on the treadmill, and I was excited to try some different variations. Actually, excited may not be quite the right word, considering how sore I was… There may have been a little bit of dread mixed in. I warmed up the first mile, then increased the elevation to 5.0, and turned the pace up a bit, being careful to keep it in my aerobic zone though. I held that for 2 minutes before dropping the pace and elevation for a 2 minute recovery. When I got bored with those, I mixed in 2 longer hill repeats of 1/2 mile at 3.0 elevation and a slightly faster pace. Those I enjoyed a lot better than the short intense hills. This KILLS me. 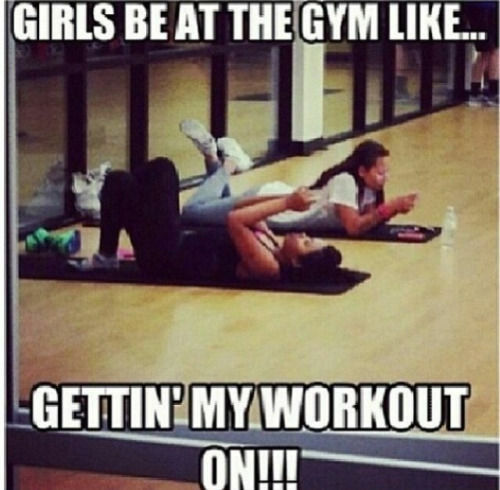 If you’re not working out, stop taking up the space!!!! Ok, mini-rant over. I probably did about 45-50 minutes and then headed out. 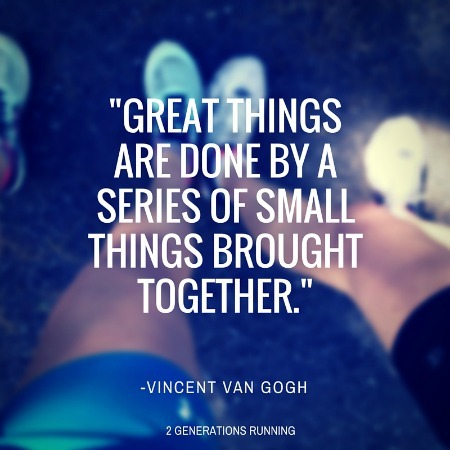 Saturday – I decided to get my long run out of the way even though my plan technically calls for a Sunday long run (I think I may stick with this throughout the 16 weeks). It had been ages since I had done a run with the club I joined a few months ago, and they were planning on 10-14 miles, so I figured I would meet up with them. My plan called for 9 miles again, but I figured I would play it by ear and go a little longer if I was feeling good. I ran to our meeting spot, which ended up being exactly 3 miles from my apartment. These 3 miles I did at 8:51/mile, which is a little fast for a warm-up for me, but I was nervous I was going to get lost and I was cutting it close from the time I left my apartment. Luckily, I made it there, no problem. There was a good sized group of 8 or so runners and we quickly headed off on our route after introductions. Some of the group was going a full 14 miles, but I peeled off with a group doing 8 miles, bringing me to a total of 11 miles for the day. I’m going to have to do more of my long runs with them! We averaged 8:33/mile for our 8 miles, and I felt great the whole way. There was a lot of stop and go, waiting at street crossings, which may have partially contributed to how good I felt. I forgot how much I love running with groups though! The miles tick by so much faster and it just felt really good to mix things up. The weather was BEAUTIFUL too; it felt more like the beginning of spring than the last day of January! After we finished up, I decided to take an Uber home, rather than tack on an additional 3 miles, running back to my house. My Uber driver noticed my running clothes – turns out, he had run a couple of marathons many years ago! We chatted about running and training during the short drive back to my house and he wished me luck on my marathon. How was your week? Would you rather run long with a group or by yourself? 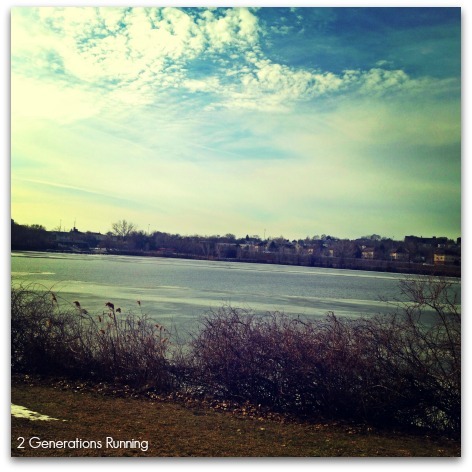 This entry was posted in Training and tagged 2 Generations Running, Delaware Marathon, Discover Bank Delaware Marathon, Marathon Training, Motivation, Workouts. Bookmark the permalink. Nice week! I am training for Colfax, which I think is around the same time as your marathon. I’ve had to take a few runs on the treadmill, and I gotta say, it just kills me. Easy paces feel hard because I can’t get my mind to stop racing. That group sounds pretty great. I like running with people, but I live in a small town, so I don’t have too many runners to choose from. Yeah the treadmill is awful! 😦 I have to say though, it’s kind of nice to be able to get my training runs in, even on days when it’s snowing out! So kind of a necessary evil I guess. Good luck with your training!!! Awesome job this week – Charissa knows how to make the most of treadmill workouts FOR SURE – I need to check out her post on that. So glad to hear that even on the days you were feeling sore, you toughed it out. Have a great week!